﻿ Zipper Merge: What is a Zipper Merge & Why use Zipper Method? Home Auto Insurance Guides Why Should You Zipper Merge? Why Should You Zipper Merge? Every morning when I drive to work, I take a highway that features two lanes that merge into one. And every morning, the left lane gets backed up. Rather than waiting in a line of cars, I take the right lane and move over once I’m closer to the point of the merge. In official traffic lingo, it is the zipper merge. Come to find out, the zipper merge, or late merging for those against the practice, is controversial. Before we dig into the great zipper method debate, let’s take a closer look at the driving technique. What is a zipper merge? In general, when driving you are encouraged to make your desired action as early as safely possible. However, zipper merging spits in the face of this logic. It encourages drivers to ride out a merge in both lanes until the merge actually happens, and not when you first see the sign. The name itself helps to explain the technique. When drivers use both lanes, the cars in front take turns merging. One car goes from the left, and then one car from the right goes. The pattern continues infinitely to get cars through the merge zone. Just like the teeth on a zipper coming together. Why should you be zipper merging? Zipper merging helps to keep the flow of traffic, flowing. By encouraging traffic to ride it out in both lanes, there is less of an unsafe speed difference between the lanes. If both lanes are going the same speed, then there are less people trying to pull quickly in and out of moving lanes. Plus, with two moving lanes of traffic heading toward a merge, cars should be able to make it through without having to reduce their speed as significantly as they would if they are waiting in one long line. When cars stay in their own lane, fairness also increases. There won’t be that one line-cutter, instead there would be two lines, trading fairly to move forward. Zipper merging also helps to relieve backup near congested interchanges. In fact, traffic studies suggest that using the zipper merge reduces backups by 40 percent. To put it simply: you should be zipper merging because it’s the most efficient option. 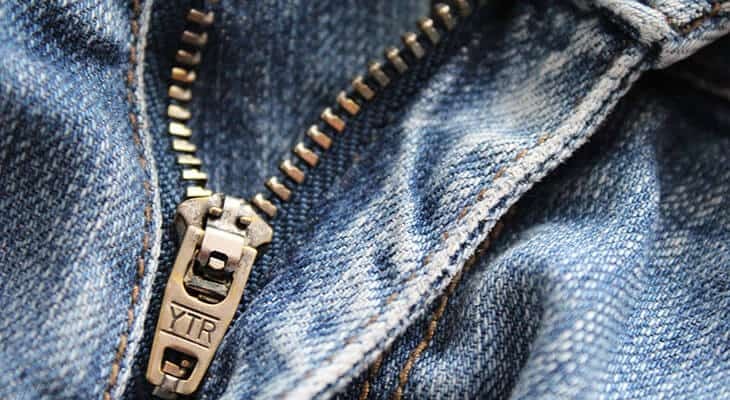 So, what’s controversial about the zipper method? On paper, the zipper merge is flawless. However, in practice, it is much less so because humans have emotions and feel like zipper mergers are cutters. For example, sometimes when I employ the zipper merge, I’m met with middle fingers or cars not letting me in, even when it’s my turn. As an advocate for the zipper merge, I often resist the urge to yell out the car window that what I’m doing is technically right. I might be experiencing hindsight bias, but I remember learning the zipper merge as a new driver in Connecticut. While the North gets a bad reputation as aggressive drivers, at least everyone up North seems to understand the zipper merge concept and efficiently get through merges. I colloquially complain to people that I get driven off the road by more drivers down South because they are too nice and too slow to respond. They take their time accelerating through green lights. And they don’t want to be rude, so they form a line to get through a merge. My theory is not unfounded. Washington’s Department of Transportation led a statewide campaign to convince people that building efficiencies with the zipper merge isn’t rude. Minnesota had a similar movement to raise awareness. Drivers are ‘too nice,’ to effectively cut the line with the zipper merge technique. If everyone is using the zipper method, it’s most efficient. When everyone is not, that’s where the situation gets hairy. The California Department of Transportation points out that late mergers might cause early mergers to slam on their brakes, which could cause them to rear-end the late merger. Plus, not every state encourages the zipper merge, which further compounds the controversy. What side of the zipper merge debate are you on? Let us know on our Facebook page.